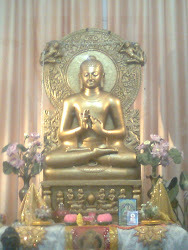 Once Buddha was staying at Savatthi and people used to come to Buddha in great number to meditate and listen to Dhamma preached by him.A Young man named Mogallana also used to frequent the place to listen to Buddha. 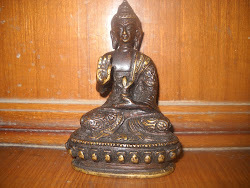 For years he came to listen to Buddha but never practiced what Buddha taught. One day this man approached Buddha and said"Sir,I have a question which I want to ask?" "I am ready to clear your doubts.Tell me your question? "asked Buddha. "Sir, I have been coming to your meditation centre for years.I have seen people who have become fully liberated by your practices and some people have gained knowledge and are better off than when they came here.But the majority of people have not gained anything .Nothing have changed for them, they are as they were before." "This should not happen. Sir,people to you with so much faith and hope .Why can't you use all your power and liberate all of them? "Young man blurted. "Young man, where do you live?What is your native place? "Buddha questioned smilingly. "Sir , I live in Savatthi. "said young man. "Yes, but your facial features show that you are not from this part of country.Where are you from originally. "asked Buddha. "Sir,I am from Rajgraha,capital of Magadha.I came here and settled here in Savatthi a few years back." told the young man. "Have you severed all connection with Rajgraha? 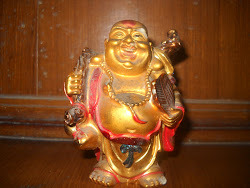 "quizzed Buddha. "No ,Sir I have relatives there. I have friends and I have business there,".
" Then you must be going from Savatthi to Rajgraha,frequently. "Buddha asked. "Sir, many times I go to Rajgraha and return back to Savatthi. "told the young man. "Having travelled and returned back so many times you must have recognized the path very well,I presume." "Yes Sir, I completely know the path .I can even reach Rajgraha with my eyes closed.So many times I have walked on it." "And what about your friends,they must know that you often go to Rajagraha and return and that you know the path from Savatthi to Rajgraha perfectly?" "Oh yes Sir,all those who are close to me, know that I often go to Rajgraha and that I know the path perfectly." ' Then sometimes your friends come to you and ask about the path from here to Rajagraha.do you explain the path to them clearly?" 'What is there to hide ,Sir?i explain it to them as clearly as I can, you start walking towards the east and then head towards Benars and continue onwards till Gaya and then to Rajgraha.I explain it very clearly to them." "And these people to whom you give such clear instruction,do all of them reach Rajagraha automatically without travelling the path?" "How can that be ,Sir?Those who walk the entire path to its end,only they will reach Rajgraha." "This is what I want to explain to you, young man. People keep coming to me knowing that this is someone who has walked the path from here to Nibbana and so knows it perfectly.They come to me and ask,"What is the path to Nibbana to Liberation? 'And what is there to hide?I explain it to them clearly,'This is the path'. If somebody just nods his head and says,'Well said,well said,a very good path ,but I won't take a step on it,a wonderful path, but I won't take the trouble to walk on it,then how can such a person reach reach the final goal?" " I do not carry anyone on my shoulders to take him to the final goal.nobody can carry anyone else on his shoulder to the final goal.At most,with love and compassion one can say,"Well,this is the path and this is how I have reached walked on it.You also walk and you can reach the final goal. 'But each person has to walk himself ,has to take every step on the path himself..He who has taken one step on the path is one step nearer the goal.He who has taken a hundred steps is a hundred steps nearer to the goal.He who has taken all the steps has reached the final goal."